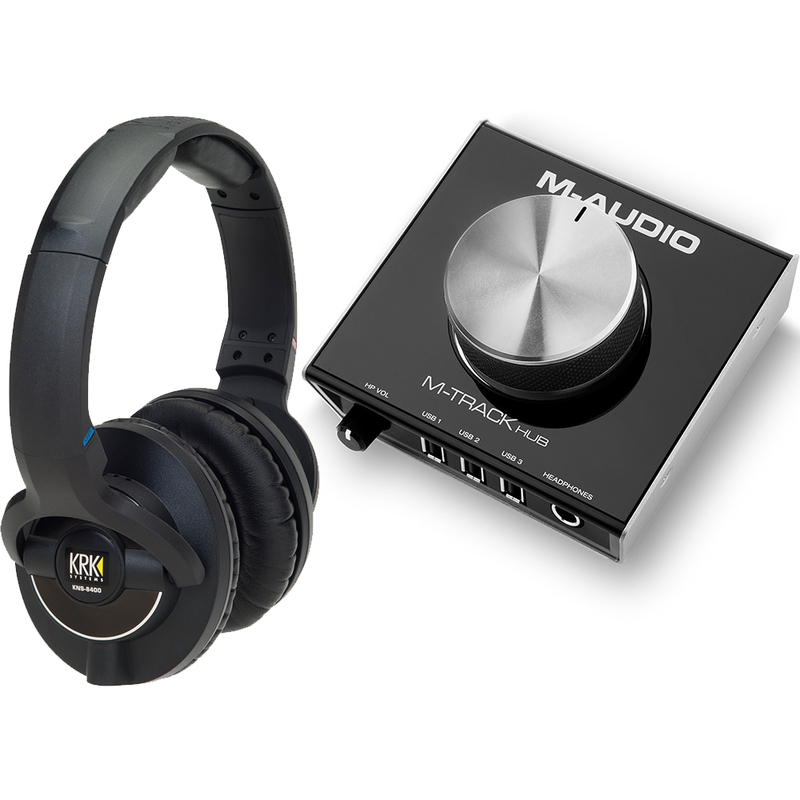 KRK KNS8400 Studio Headphones & M-Audio M-Track Hub, Audio Interface & USB Hub. 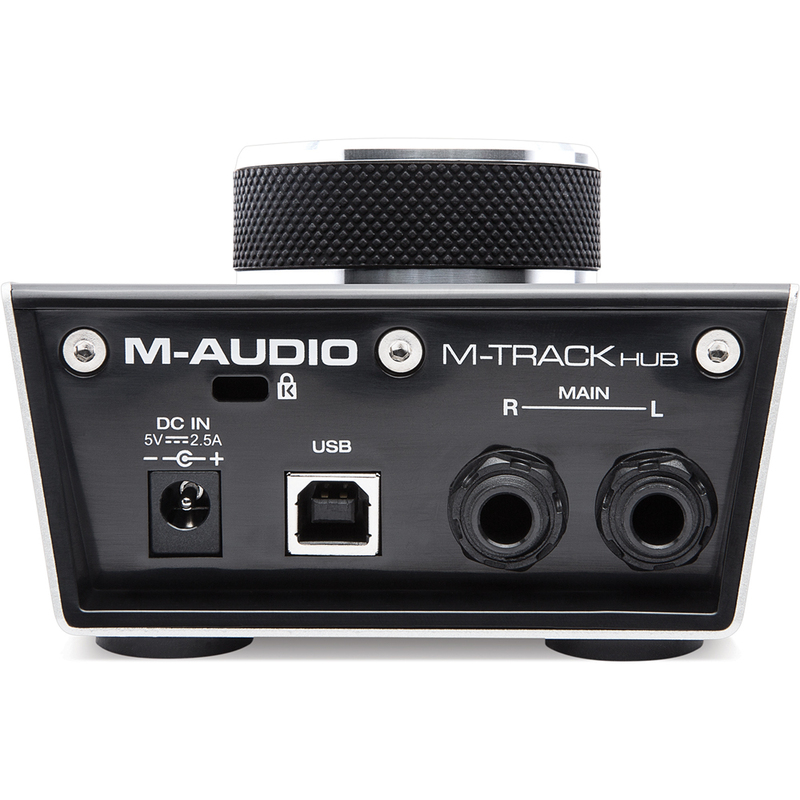 Excellent bundle for home recording at a discounted price. 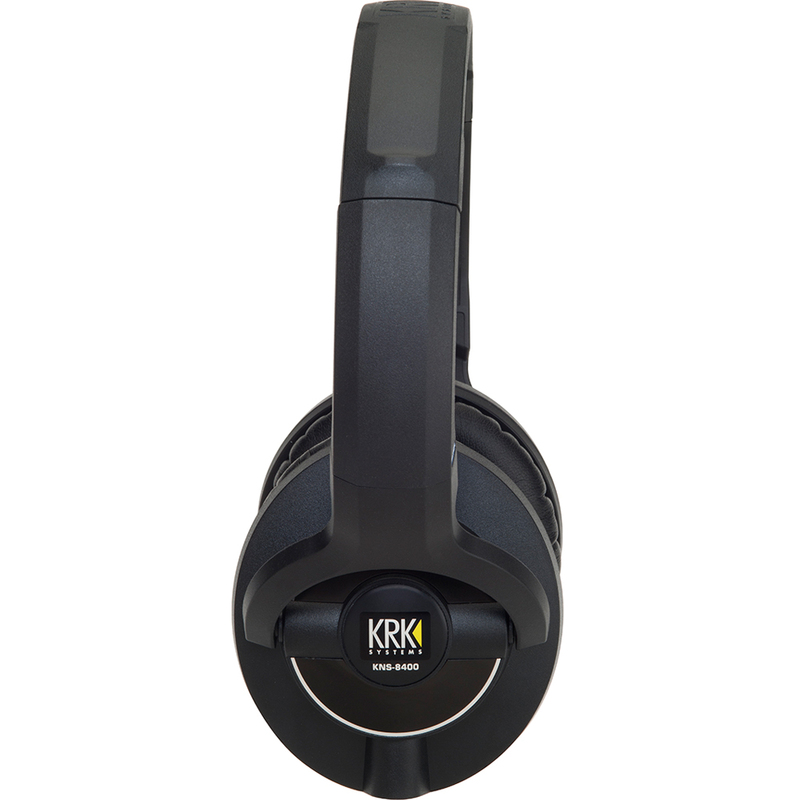 Voiced to remain true to the character of KRK's class leading studio monitors, developed with 25 years of years of experience in studio sound. 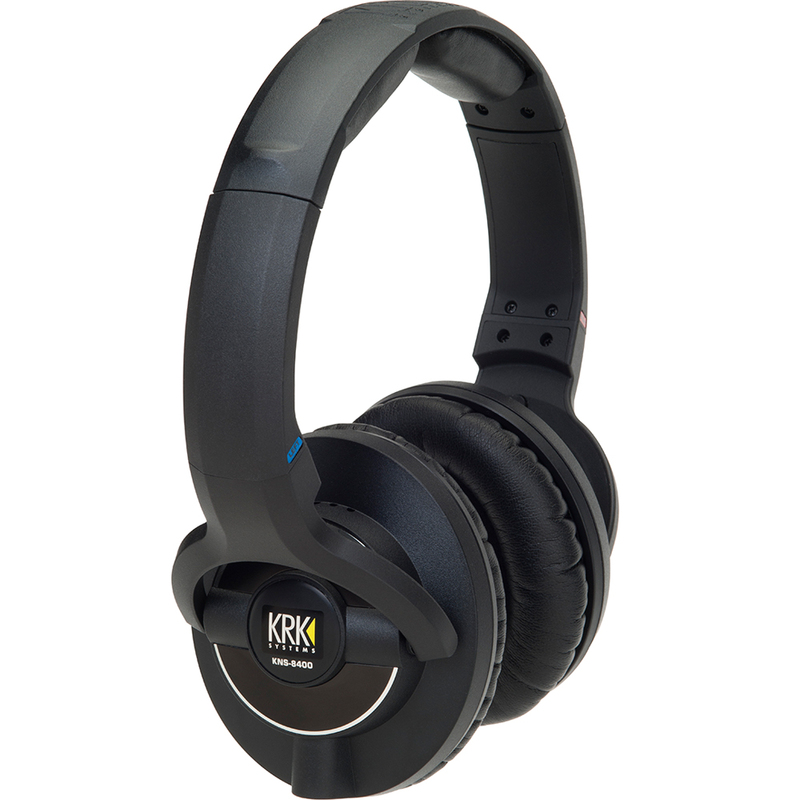 The latest reference quality frequency response for closed-back, circum-aural dynamic headphones. 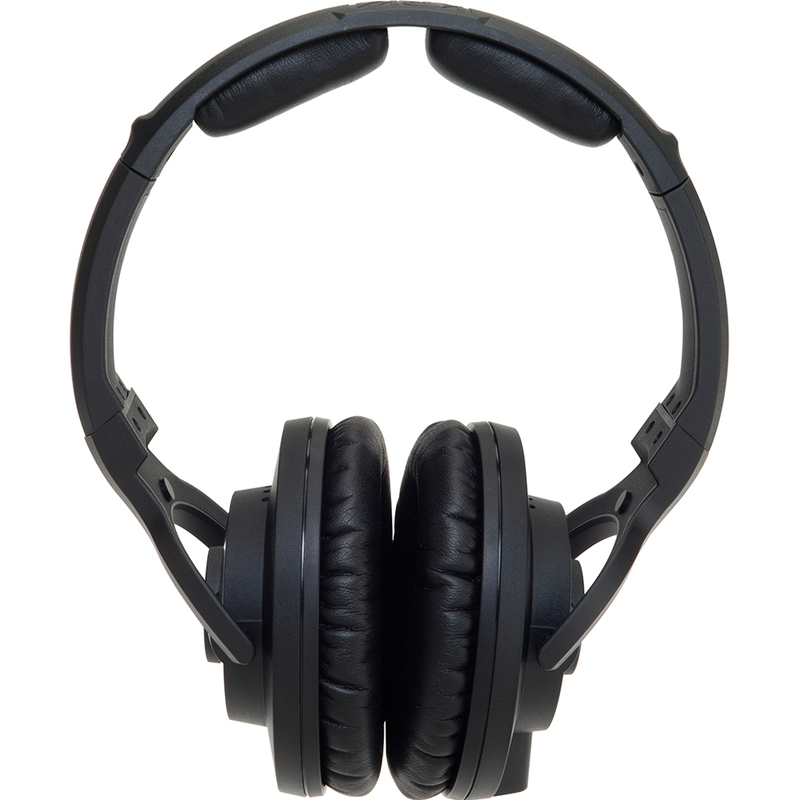 Newly developed headphone acoustical system bringing a new level of headphone performance for the first time. Utilizing the latest in acoustic foam technology ensures class leading performance in both reproduction and isolation. A new standard in headphone comfort, even over extended periods of use, designed to avoid feeling uncomfortable during long sessions. 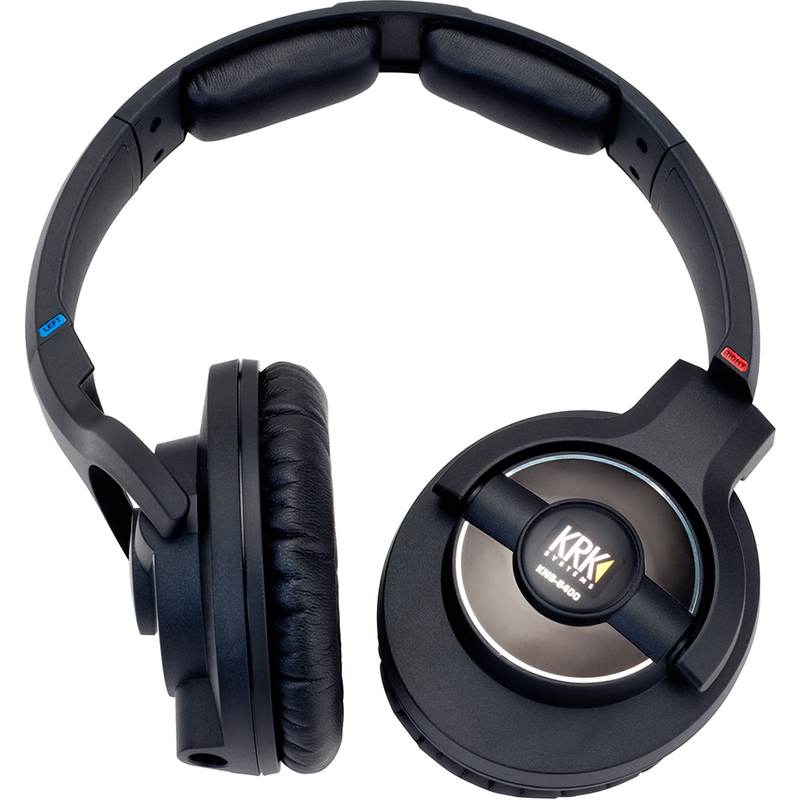 The special foam conforms to the ear to help ensure an improved fit. Exceedingly accurate, natural and wide frequency response. Large dynamic range with extremely consistent low-distortion detail and clarity. 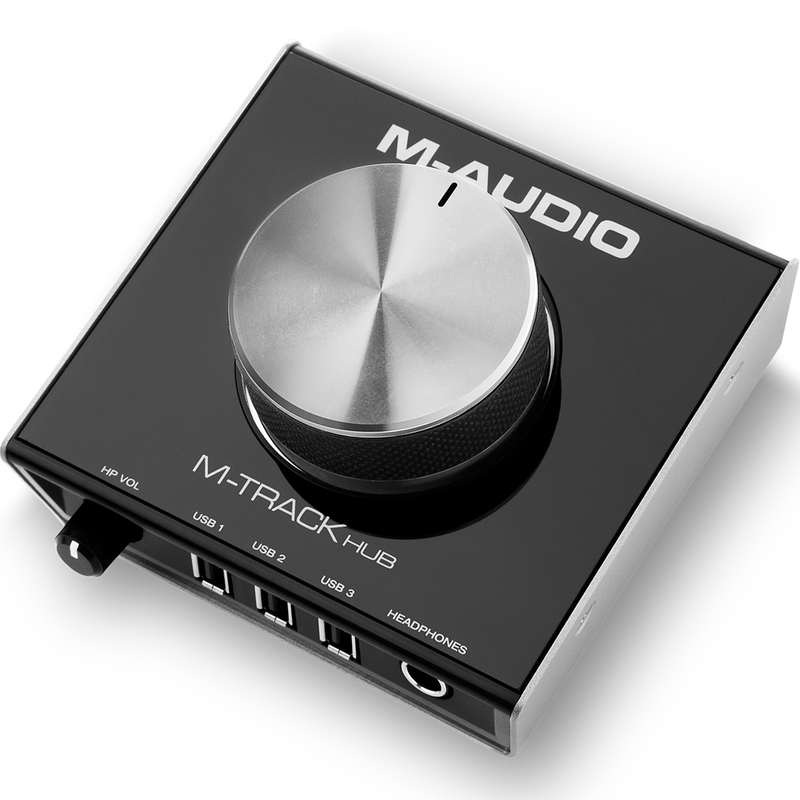 Extended low frequency definition, ensures the bass component of your music is accurately reproduced, and is not lost. Transparent reproduction of high-frequencies, resulting in highly accurate imaging. High durability 2.5m single-sided straight cable with oxygen-free copper wires. Adjustable, foldable driver enclosures provide comfort and portability. Replaceable cable, head, and ear cushions to ensure long product life. Soft carrying case embossed with the KRK logo for travelling engineers, or storage when not in use. 1/4" jack plug can be unscrewed to reveal a 1/8" plug for laptops and portable media players.